Register for Cardinal Camp 2017! The response to Cardinal Camp has been incredible this year! 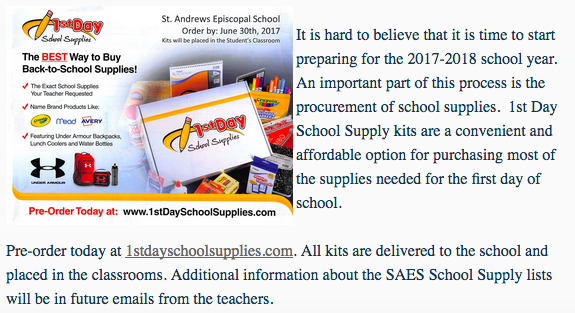 We are filling up fast and ready for another great June at St. Andrew’s. We are officially full for week 2 June 12-16. Spots in weeks 1,3, and 4 are still available, but not likely for long. Please register your child ASAP if Cardinal Camp is a part of your summer plans. After a great year of service to the St. Andrews Cottage in 2015-2016, Liberty’s Kitchen is excited to expand our service to St. Andrew’s Episcopal School for the 2016-2017 school year.